Someone asked for it. I've got my blindfold and cigarette. Fire away. So WHEN, WHEN, WHEN, will we get an R2-D2 FS statue? Opps. You stuck it and I unstuck it. When will we see the first Marvel Lifesize statue? Can you show any new pics of the Neytiri bust, she looked incredible at SDCC, and im keeping my fingers crossed the production pieces are just as nice. What does your Marvel license allow and at what scale? I replied to this on another thread recently, so please forgive the cut/paste job. R2 Statue's still in development indefinitely. I explained this a while ago on our blog, but the problem with this piece is that we're aiming to create a museum-quality scale replica. That's what we promised you guys, and that's what you've pre-ordered. Usually, the manufacturing of a piece is a relatively simple process. However, because of the stunning level of detail we're going for on this piece, we're not satisfied with the production samples we've seen. So, we're working to hit the high bar we've set for ourselves here. It's certainly a lot tougher than any of the other pieces we've done before, but not impossible. We're still working on it. EDIT: Darn it, just noticed you said FS statue, not 1/4 scale. Sorry. I see the words "R2" and "statue" together, I just assume you're talking about the one everyone's been asking about. We do have a 1:1 R2 monument from The Clone Wars in the works. I don't know if/when we'll do an OT 1:1 R2 monument, but it's an intriguing idea. You *should* see it in 2012 (I will almost always answer questions like this with an intentional amount of vagueness, as our plans are subject to change at any given moment due to a variety of reasons). I'd say around summertime. If you saw the Incredible Hulk that was part of our display at SDCC this year, that's actually the top half of our a life-sized piece. We just strap a pair of legs on that puppy and he's good to go. Actually, PD just approved me shooting an unboxing video of both Tsu Tey and Neytiri for you guys. I'll get that shot this afternoon and posted no later than tomorrow. So far, what you see is what you get: 1/6th scale mini busts, statues with vehicles, collectable bookends, desk accessories and life-sized monuments. We've also got the green light on bust-ups and bronzes. I should also point out that we're under the same limitations as Bowen and can only sell our Marvel pieces to the U.S., Canada, Guam and Puerto Rico. (that being said, our distributors aren't under the same limitations, and considering how they all sell to each other, international collectors should be able to get their hands on our Marvel pieces. They just can't do it directly from us). Last edited by Rogue01; 12-05-2011 at 02:16 PM. how many life size yoda were actually made? The edition size is 2500 but I never see one on ebay so I dont believe all the 2500 has been done? Any chance in ever re-releasing this piece, or finding on left in the warehouses? 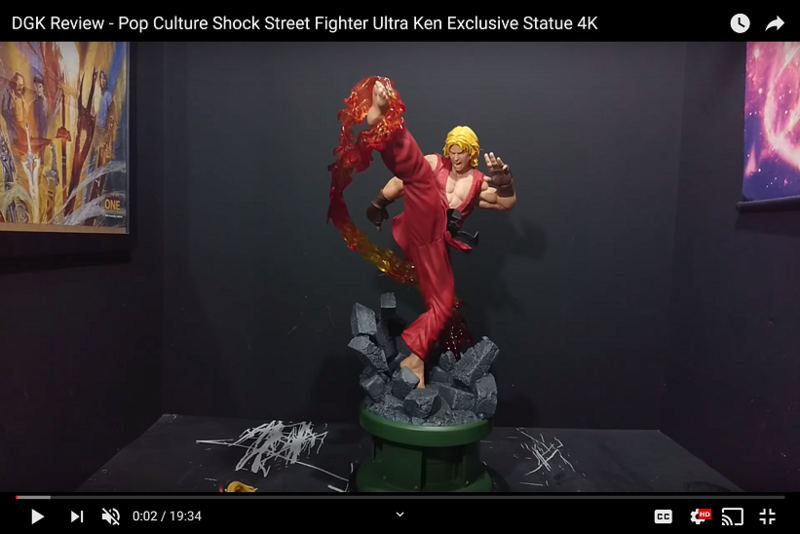 First, when do you expect to have Blondie statue up for pre order? Second, when do you expect Rocket to start shipping? 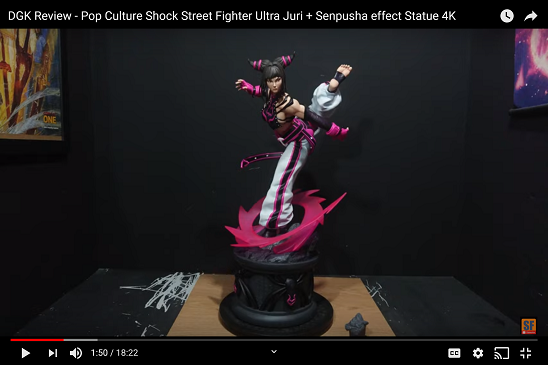 And third, what other licenses or characters do you intend to release with the same quality and size of the Sucker Punch Statues? Are Neytiri and Tsu'tey in 1:6 scale? If they are actually scaled to 9.5 - 10-feet tall, I'm buying. Looking forward to seeing more Marvel. Although not a fan or bust-ups. Not sure how many folks are. Aside from the Darth Malgus mini-statue that comes with the Old Republic Collector's Edition, are there plans to tackle any of those characters in mini-bust or 1:6 scale statue form? What about other Expanded Universe Sith Lords like Darth Bane or Exar Kun?